HeyDay brings an entertaining environment for a fun night of social painting and drinking with friends, family, and co-workers! Sign up here. Pick One Class! 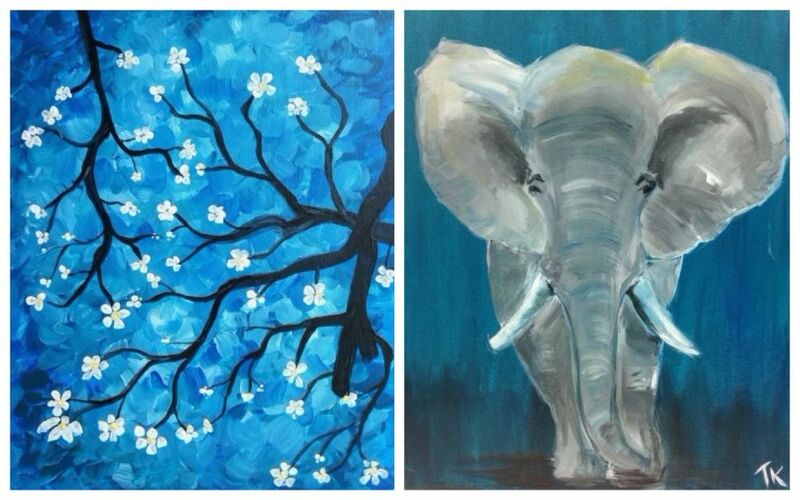 Choose to paint either "Van Gogh Impression" or "Blue Elephant". Price is $35 per person/canvas. (16x20 wrapped canvas) Food & drink menus available!